Absorbine have been producing horse care products since 1892 and are a well established and popular equine brand. We stock a range of their products that look after both your horse and your leather tack. 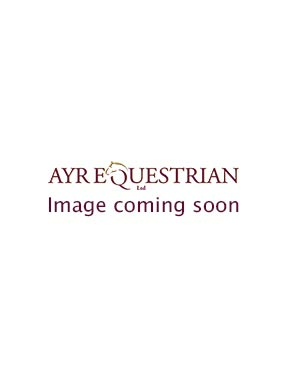 Here at Ayr Equestrian we have the ever popular Absorbine Vetlin horse liniment, ShowSheen and Horseman’s One Step amongst other great products. Aborbine’s Vetlin horse liniment is very popular amongst horse owners to help relieve sore muscles and stiff joints in their horse. The soothing blend of natural herbs and oils provide temporary relief for sore muscles, stiff joints, and tendonitis. It also acts as an antiseptic for minor cuts and insect bits, helps prevent hoof and sole fungal infections, and is a refreshing body wash.
From the ShowSheen range we have Absorbine’s 2 in 1 Shampoo & Conditioner and ShowSheen Finishing Mist. The shampoo is especially designed to cleanse and revitalise your horse’s coat, while being specially designed for their sensitive skin. It’s sulphate and paraben free, while being pH balanced and containing pro-vitamins. The Finishing Mist is popular with those showing their horse – it produces a satin sheen with a continuous spray that will work at any angle for a streak free, high gloss finish. It has a calming Jasmine and Sandalwood fragrance and the quiet sprayer is designed so it won’t spook your horse. For taking care of your tack, try Absorbine’s Horseman’s One Step collection. Choose between the classic cream or the quick to apply spray. Both products clean and condition at the same time, cutting down on your time spent in the tack room! It’ll help to keep your leather soft and pliable, leaving a beautiful satin sheen with no sticky residue afterwards. The One Step Spray will dry almost immediately, making it perfect for when you’re in a rush. Other products that we also have available from Absorbine include their Miracle Groom Bath in a Bottle – it comes in a spray bottle and brightens colours, removes stains, and maintains a bright shine. We also have the popular SuperShine Hoof Shine – choose from clear or black and have super high-gloss hooves that are dry in less than 60 seconds.